Our range of cold sparkling or sweet drinks includes fruit and vegetable juices, lemonades and syrups. A cooling dose of freshness comes guaranteed! Our plain and flavoured lemonades are made in France using artisanal techniques. 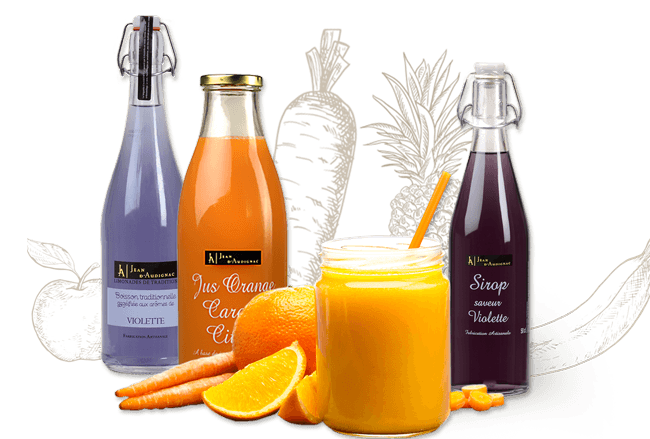 Fruit and vegetable juices combine to create on-trend flavours with original, delicately sweet notes. Each drink is kept in bottles with transparent labels and a flip-top (in the case of lemonades and syrups).